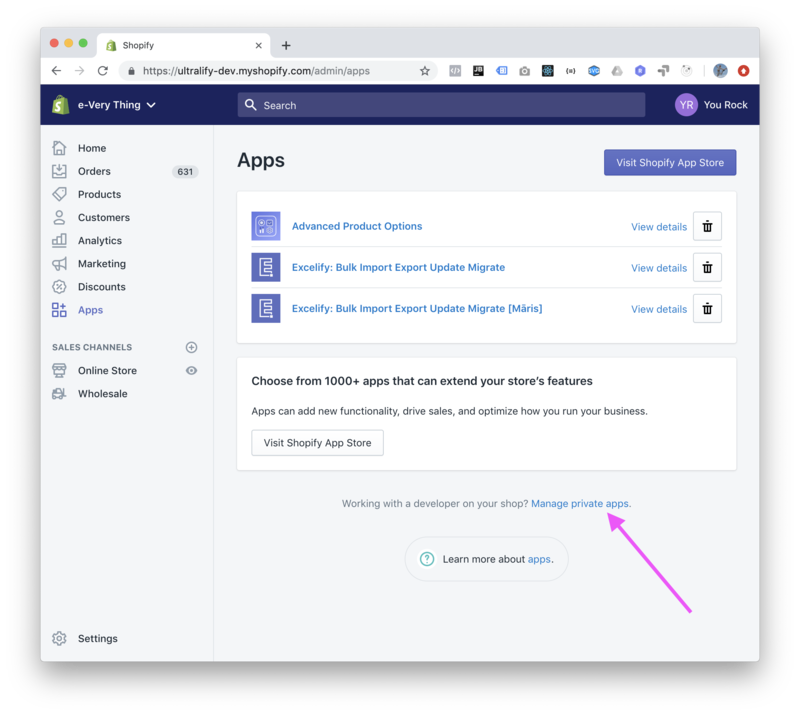 We have optimized the way how we use Shopify API and made all the Shopify exports and imports at least 2x faster than before. Now Excelify can leverage your added API call limit better than before. If you request your Shopify store to have increased API limit, Excelify will be able to use that smarter than earlier to achieve higher speeds. 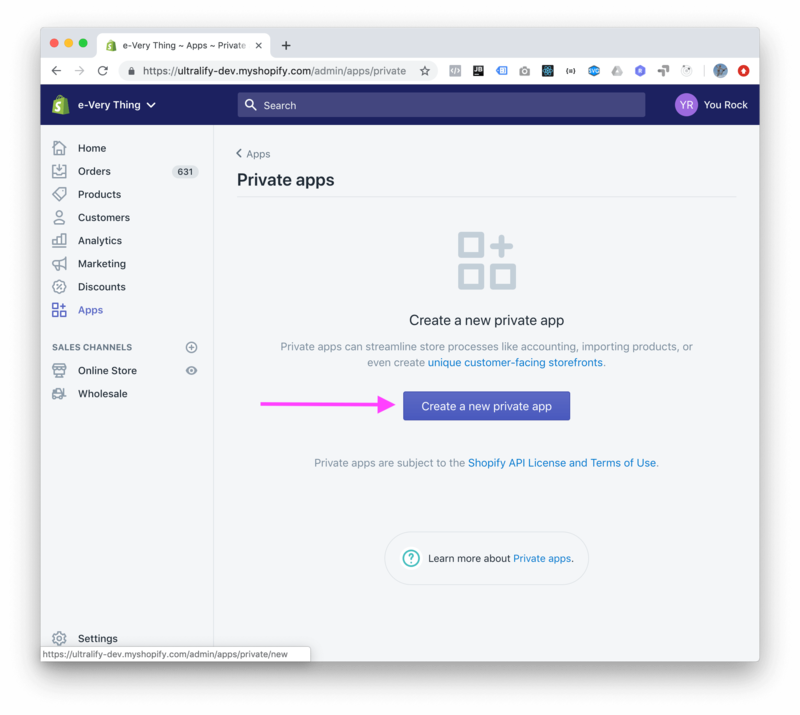 Shopify can increase speed even further for Private Apps if you are using Shopify Plus – if you ask for that specifically. 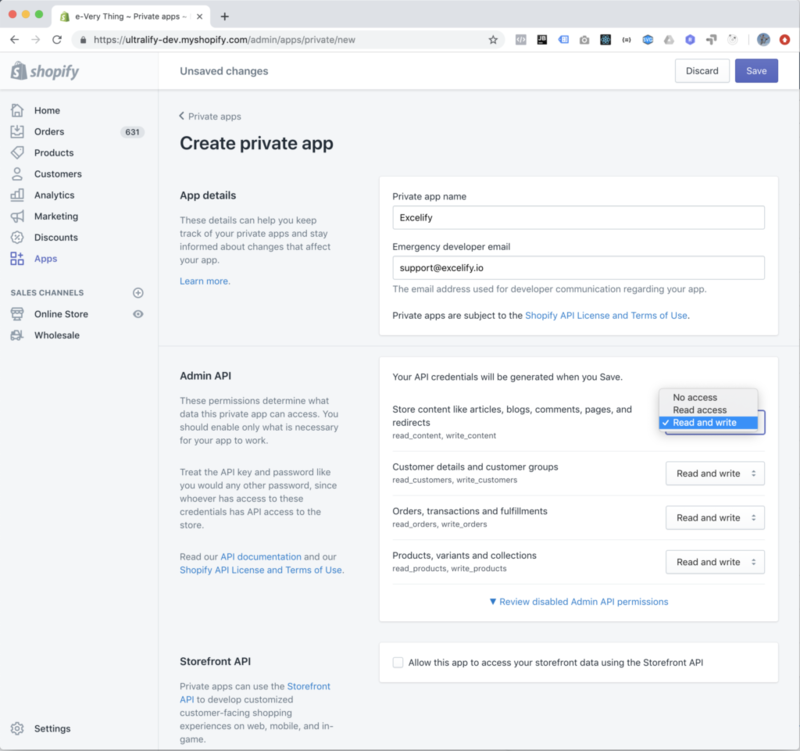 Excelify can leverage that too – it can connect to your store as a Private App and use that API limit to gain even higher speed. This way you can increase the speed for about an additional 500%. This capability is available only for Excelify Enterprise Plan. Ask Shopify to increase your API Call Limit for Private Apps. Work with us to specifically find the best way to increase your import or export speed. Admin API: mark permissions to allow “Read and write” for all the items. Storefront API: leave the checkbox off. Review disabled Admin API permissions: mark here everything that you need to export of import. To be safe, you can mark all of it to allow read and write. Press the button “I understand, create the app”. 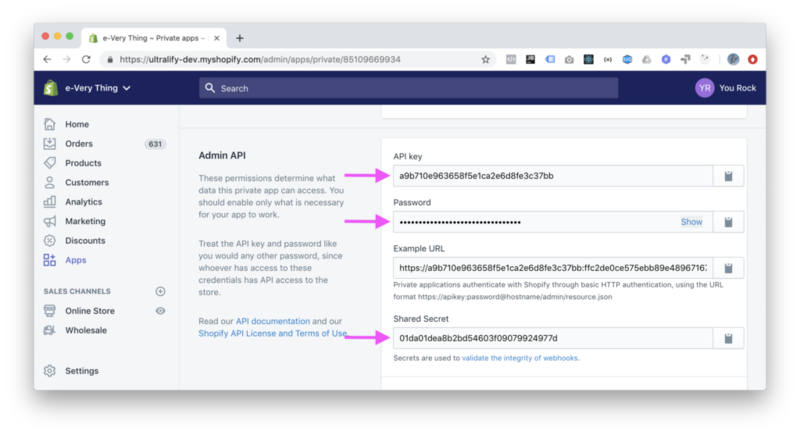 Note that it is really important to keep your API credentials safe – share those only with Excelify. Send those values to Excelify Support: [email protected]. Include also your .myshopify.com domain so that we know which shop is that. “Failed. Response code = 403. Response message = Forbidden. [API] This action requires merchant approval for *********** scope.” If you get an error like this, it most likely means that you are trying to work with data which is not allowed in your Private App permissions. Please, go to the Private App you created, and mark that mentioned permission. Note that there are much more permissions to allow under the “Review disabled Admin API permissions” link. 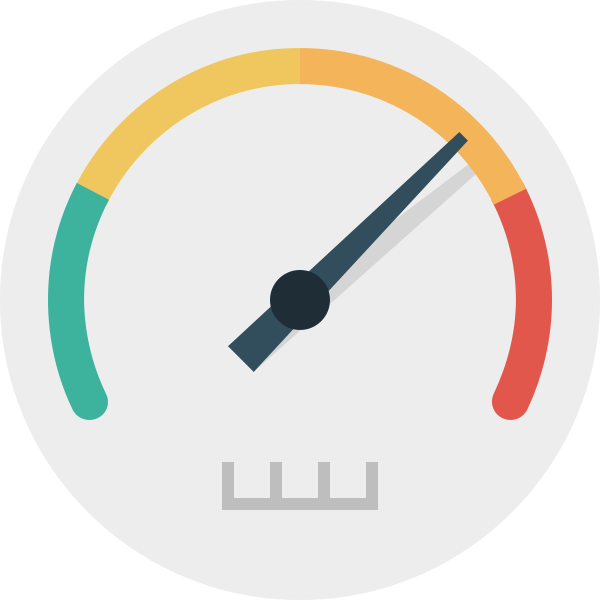 Contact Excelify Support to collaborate on achieving the highest possible speed for your specific case. Read other tips for improving your import speed.